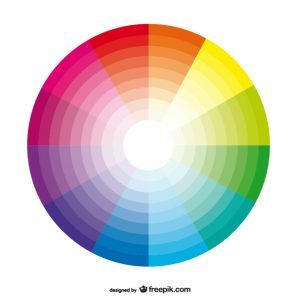 Whenever we see a colour, our eyes communicate with the brain realising some hormones which cause fluctuations in mood, emotion and resulting in behaviour. Research shows that colour is 85% of the reason you bought a certain product. It is a well-known fact that of any website that colour affect the conversion rate. Big time. Using the right colours can bring you the benefits you want from your website. Is the colour scheme you’ve been thinking of the right one? People tend to choose a lot from their favourite colours, sometimes without even knowing but a skilled web designer, knowing the importance of the colour scheme, carefully plan considering the meanings of the colour in relation to the product/service being promoted. Colour is a tricky thing. You have to use it in the right way, at the right time, with the right audience and for the right purpose. Women like blue, purple and green; Men like blue, green and black. 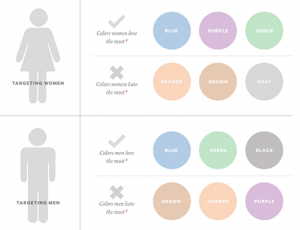 Multiple surveys show the colour preferences for man and women. If you are marketing for women stay away from earthy colours and orange (that being picked as the least preferred colour for women). If you are marketing for men, these are the colours to stay away from: purple, orange and brown. Blue, green and black are considered manly colours. Use blue to cultivate trust. Blue is used everywhere. A lot of people like blue because it inspires tranquillity and trust. The world’s biggest social network whose values are trust and transparency is blue. This is probably not an accident. Psychologists have declared yellow as the colour of happiness. Brands use yellow to show that they are fun, friendly and easy to work with. We chose yellow for our brand and I can surly say it is an easy to work with colour that has a lot of benefits. Green is ideal for outdoor products. Perhaps this is the most intuitive colour of them all. The colour of the outdoors, green is essentially the colour of nature, but there is more to this colour then that. Green is also a good call to action colour. Also, using the word and colour itself, can throw and environmental aura to your website and product/service, improving your reputation amongst those passionate about the wellbeing of our environment. Orange can be considered a “fun” colour according to some. It helps stimulate physical activity, competition and confidence. Orange is therefore used heavily when it comes to sports teams and children’s products. Black adds a sense of elegance and luxury. The darker the colour, the more lux it is. Black shows elegance, sophistication and power. It can also show that your product is of serious value. If you are selling high-vale luxury consumer items on your website, black would probably be a good choice. Use bright primary colours for your call to action. There has been some restricted research that shows the value of bright colours for the call to action buttons. Primary colours and secondary colours win over the black ones. Some of the best conversion colours yellow and orange. White is often forgotten because it is mostly a background colour. Most well-designed websites today use plenty of white space in order to create a sense of freedom, spaciousness and breathability. We live in a colourful world, and the internet is filled with it as well. This article will probably rise a lot of questions about making the right decision about your colour scheme. Our advice is to test the colours you choose as much as you can. If you get stuck, we are here to help! 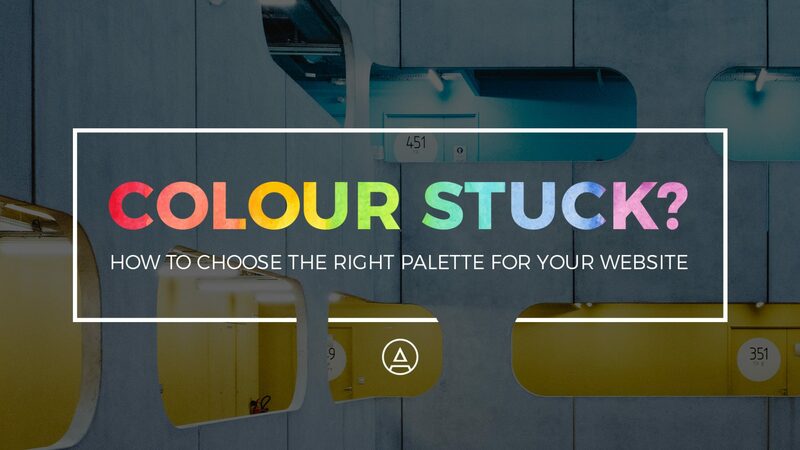 "How to choose a good colour scheme for your website?" Interesting article. Nice color schemes and ideas. Thanks for sharing. 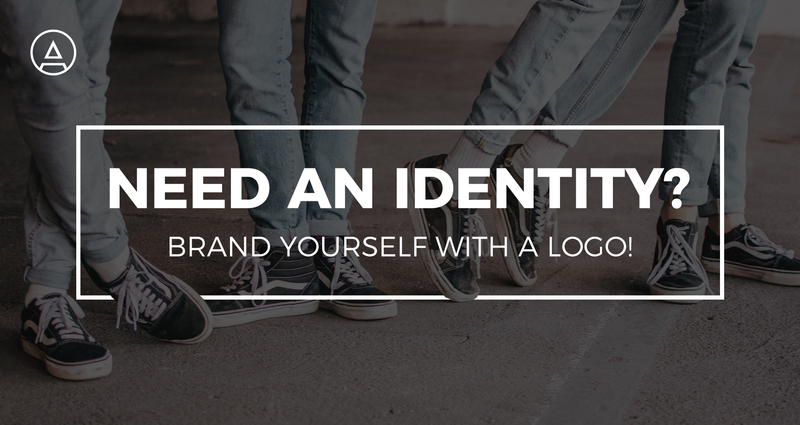 So simple: Choose the right dominant color for your website and brand. Combine complementary colors to create your perfect color scheme.